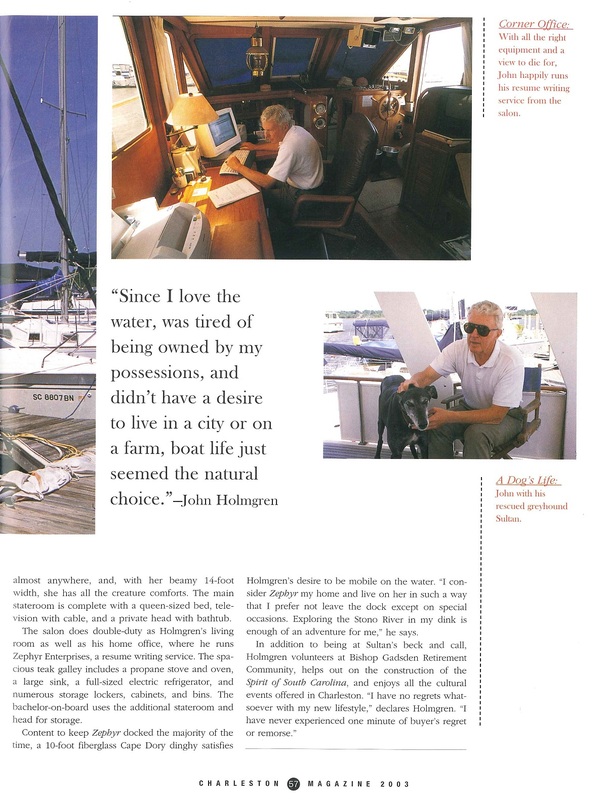 This entry was posted in Charleston Magazine, Magazine Articles and tagged Buzzard's Roost Marina, Charleston City Marina, Charleston Magazine, Charleston SC, Danee Halford, Dr. Henk Burger, Folly Beach, Gary Halford, Grand Banks Trawler, John Holgrem, Lavranos Sailboat, Lee Ann Carter, Marine Trader Trawler, Mariner's Cay Marina, Wilson Baker on September 20, 2011 by Lee Ann Carter. 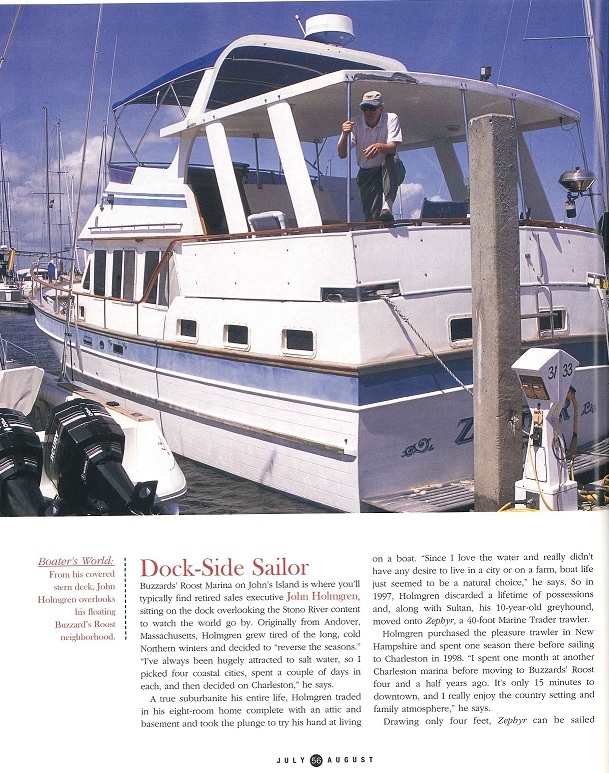 This entry was posted in Southwinds and tagged Dania Beach Jai Alai Fronton, Dania Marine Flea Market, Lee Ann Carter, Southwinds on September 20, 2011 by Lee Ann Carter. She was only 16 the night she walked into the kitchen and discovered her mother passed on the floor. It wasn’t an accident or stroke, it was a drug overdose. 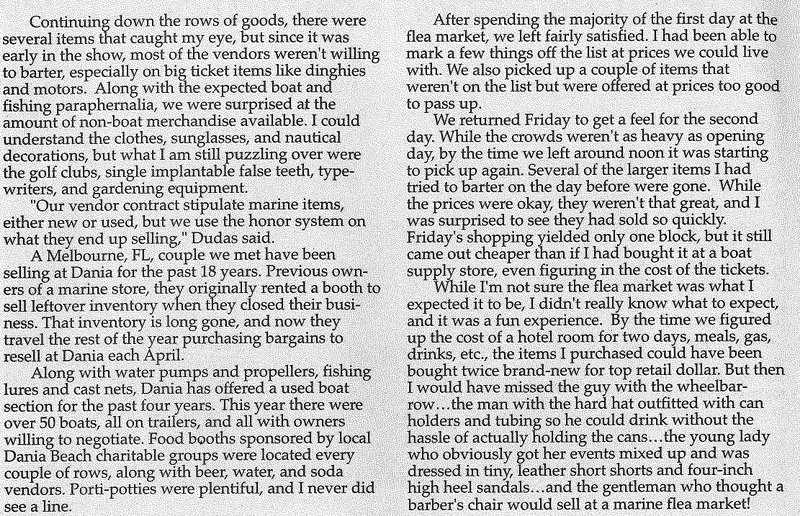 While it sounds like the first paragraph of a bad novel or something you might see on Jerry Springer, it happened to me 30 years ago. My mother, a registered nurse, knew all the right words to say to her doctors so they would prescribe the drugs she craved. That night, as I ran screaming across the front yard to wake the next door neighbor because I thought she was dead, I swore that monkey would never be allowed to make a home on my back. Fast forward to today and let’s sneak a peek into my medicine cabinet. Tums for the calcium, assorted lotions and creams, several sample sized bottles of cosmetics, hmmm, what’s missing? NO DRUGS! No aspirin, no Tylenol, no small round bottles from the local pharmacy bearing unpronounceable names. Drugs eventually played a part in my mother’s death and because of that I live with the very real fear of drug addiction; but I am by no means stupid or reckless with my health. I get an infection; I call my doctor, take the prescribed course of antibiotics, and feel better. What I don’t take is any pain medication, over the counter or prescribed. So you ask, “What about headaches or the occasional ache or pain?” Headaches are only something I hear my husband complain about or discussed in TV commercials. I can count on one hand the number of headaches I’ve had in my entire life. For the rare backache or muscle pull I treat myself with hot/cold compresses and mind relaxation therapy; I am a very firm believer in the mind/body connection. Because drug addiction, especially addiction to prescription medications, is so prevalent in today’s society, I’m sure my fear, while manifested under different circumstances, is felt by a large majority of the population. Many health care professionals are reluctant to prescribe needed pain medications because they fear their patients will become addicted. While for those who do, in many cases, their patients refuse to take the recommended dosage needed because of that same fear. Today with alternative medicine becoming mainstream there are more options for controlling pain than just popping a pill or being injected with a strong narcotic. These doctors are trained to help their patients control pain through a variety of methods. They discuss addiction with their patients, educate them on the difference of addiction vs physical dependence, and then if they are still adamant about no drugs, explore different methods of coping with their pain such as bio-feedback, acupuncture and acupressure, herbal remedies,massage therapy, and lifestyle changes. Cutting-edge pharmaceutical manufacturers have created many new and exciting potions considered by some to be “miracle drugs.” The narcotic Oxy-Contin offers an increasing analgesic effect in increased doses. In plain English that means the more you take, the better your feel. While people with unrelenting pain have had phenomenal relief with Oxy-Contin the danger on unintentional addiction is a real concern. Purdue Pharma, Oxy-Contin’s manufacturer, has begun warning physicians to be alert for signs of dependence in their patients. For street addicts bypassing the controlled release mechanism by chewing, snorting, or injecting Oxy-Contin, they experience an instant and intense high much like that of injecting high-grade heroin. Oxy-Contin addiction has been featured on several news programs recently. In checking with law enforcement agencies from Folly Beach to North Charleston, all agree that Oxy-Contin, at the present time, is not a problem here. But all were quick to say that since it is such an epidemic in other parts of the United States, it’s only a matter of time before it reaches the Lowcountry. Is a fear of drug addiction a legitimate concern to someone with chronic pain due to an accident, disease, or illness? Certainly it seems that way with Oxy-Contin. Is dependence any stronger with Oxy-Contin that it was when Dilaudid was the drug of choice several years ago or is it just the newest kid on the block soon to be replaced by something stronger and even more addictive? These are concerns that need to be addressed with your physician before that prescription, whether for Oxy-Contin or any other pain reliever, is written. Openly discuss your fears, and, if your apprehensions are not taken seriously, then certainly consider choosing another health care professional. It is your life, and your health, both mental and physical, and it only makes sense that you be an active participant. 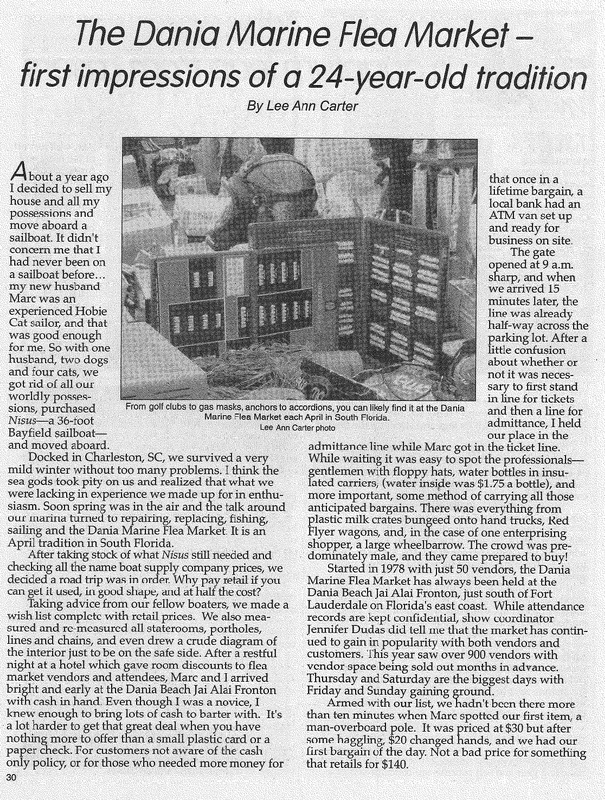 This entry was posted in Charleston City Paper, Newspaper Articles and tagged Charleston City Paper, Lee Ann Carter on September 15, 2011 by Lee Ann Carter. 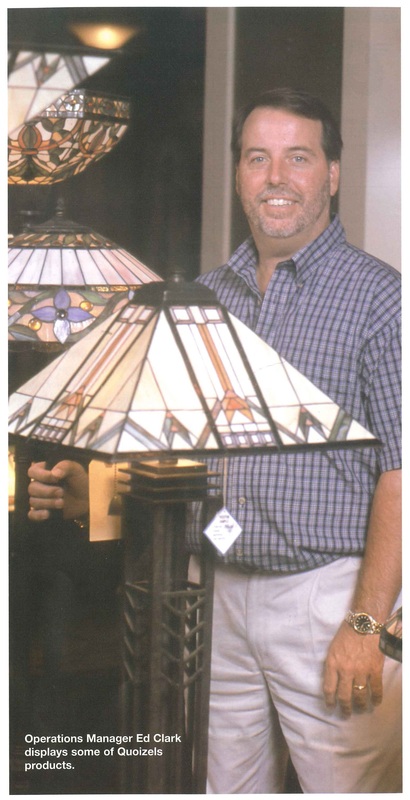 In 1994 when Quoizel Lighting and Home Furnishings was rapidly outgrowing its New York/New Jersey facilities, the only additional land available for expansion near their Long Island plant was five acres, on the market for more than $1 million. While neither New York officials nor the local utilities made much of an effort to retain Quoizel’s business, economic developers in both South Carolina and Georgia welcomed Ira Phillips, Quoizel’s CEO and owner, with open arms. Goose Creek won out over Savannah, and Phillips took the offer of 63 acres for $900,000-roughly $15,000 an acre. Incentives offered by the state and Berkeley County included 15-year state and local tax abatements and free training for workers hired who had been on welfare or displaced from other jobs. The area was then designated a foreign trade zone by the South Carolina Department of Commerce, which enabled Quoizel to import parts from overseas duty free. The perks didn’t end there. Not only were utility rates a third of those in Long Island, but the cost of transporting a shipping container from port to warehouse was $50, compared to $350 in New York. 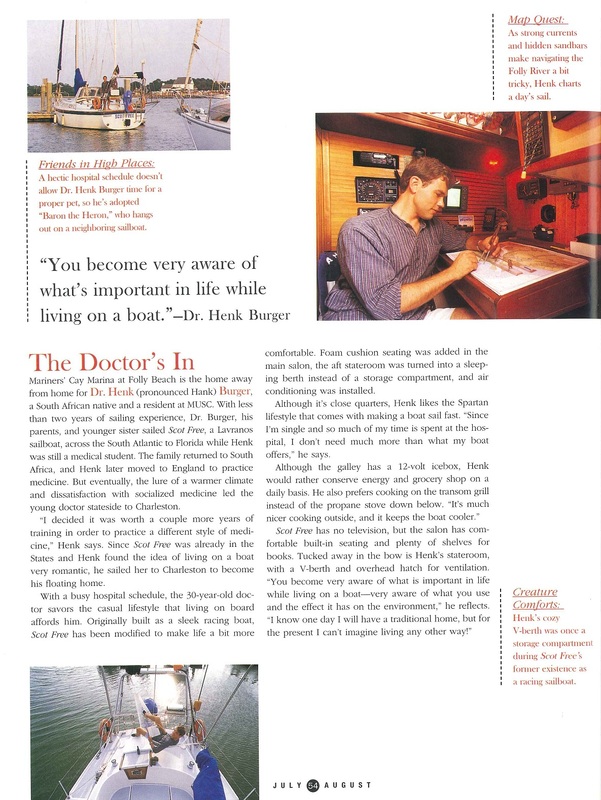 Construction started in 1995 on the 300,000 square foot, $10 million state-of-the-art facility. 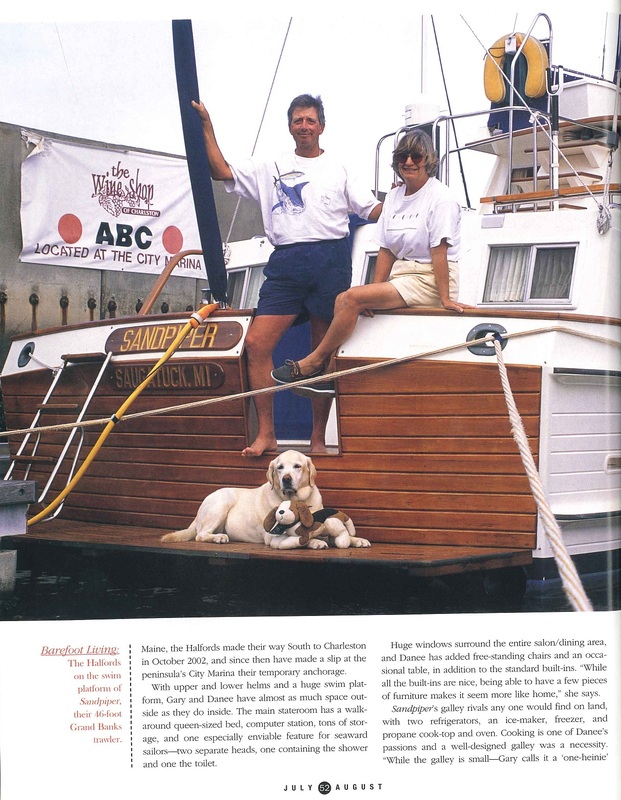 In 1999 an additional 200,000 square feet was completed. Quoizel made national headlines in 1996 when they relocated not only upper management and supervisors but also nearly 75% of the factory workers as well. While the move cost Quoizel more than 41 million, the novel approach seemed to have worked. Whereas statistics show that most factories struggle during the first year of a major relocation, Quoizel ended 1996 with a 20% increase in revenue. 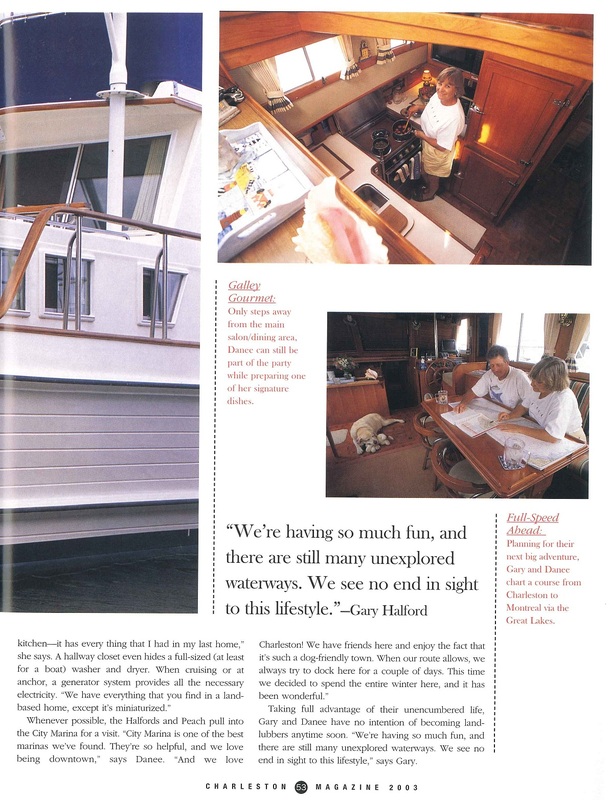 By transferring experienced production employees and going the extra mile to help them relocate, Quoizel benefited in several ways. By transferring experienced workers, new line employees were able to receive hands-on training, so downtime before inventory could be shipped was minimal. Along with lump sums paid for moving costs, Quoizel negotiated special deals with movers and even gave employees new washers and dryers. The company’s generosity also helped boost employee loyalty. 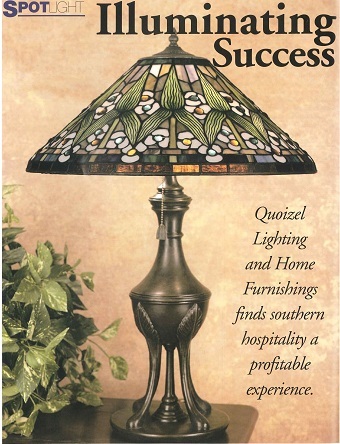 With a straightforward operating philosophy-“deliver value and apply that principle to every phase of the business”-Quoizel offers a full product line of more than 2,000 items, including wall fixtures, table and floor lamps, as well as one of the industry’s largest selections of Tiffany-styled pieces. 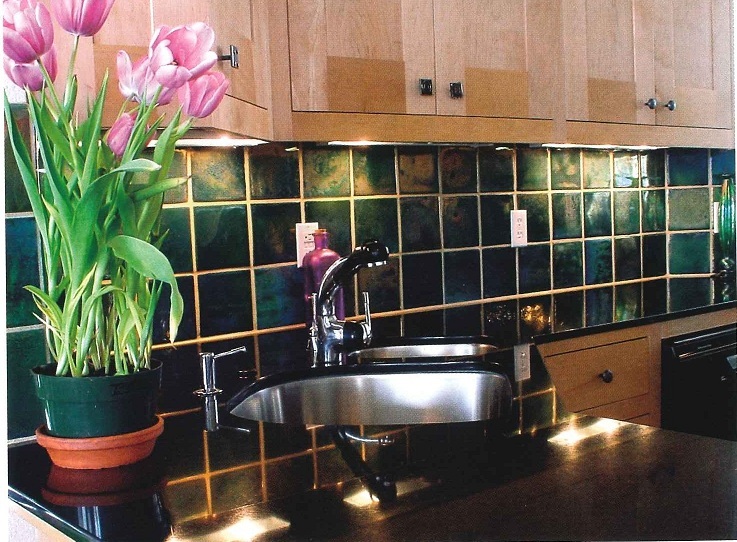 The company’s designers stay on the cutting edge of trends in residential architecture and interior design. In 1998 Quoizel introduced it’s furniture line and last year debuted Lenox Lighting, a lighting collection in conjunction with Lenox China. 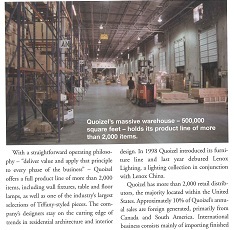 Quoizel has more than 2,000 retail distributors, the majority located within the United States. Approximately 10% of Quoizel’s annual sales are foreign generated, primarily from Canada and South America. International business consists mainly of importing finished goods from Asia, The Philippines, Mexico, Canada, Spain, France and Italy. Approximately 80% of everything shipped into the Goose Creek facility is foreign-made, with China the main producer of almost 90% of all Quoizel imports. With revenues exceeding $82 million in 2000, Quoizel has proven that combining a quality-based management philosophy with cutting-edge technology and the ability to track current market cycles can produce illuminated success. 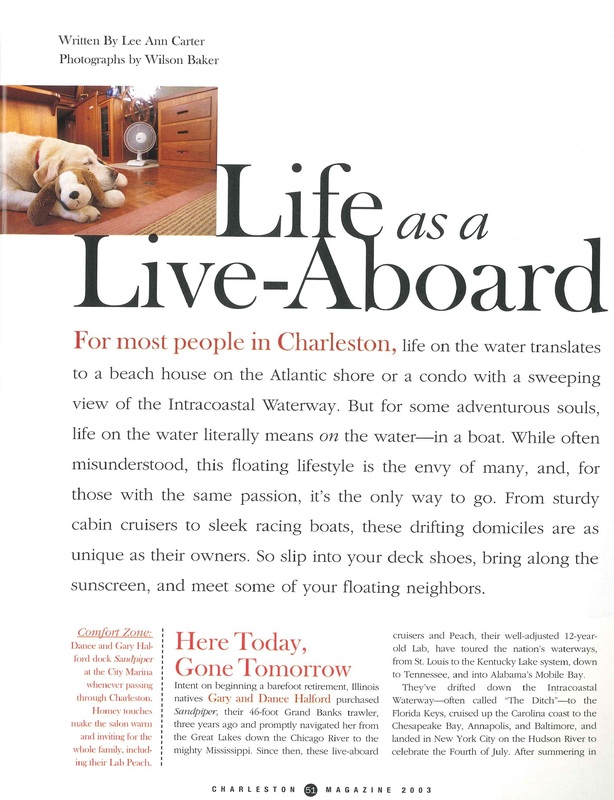 This entry was posted in Magazine Articles and tagged Atlantic Trucking Company, Ed Clark, Evergreen America Shipping, Goose Creek Lenox China, Lee Ann Carter, Port Charleston, Port of Charleston, Quoizel Lighting and Home Furnishings on September 14, 2011 by Lee Ann Carter.